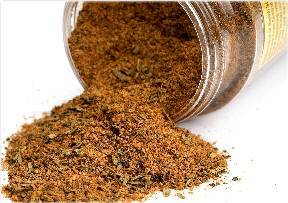 How To Apply Natural Dry Rubs Seasonings To Steaks, Meat, etc. Many people have asked us just exactly how do you use those great natural dry rub seasonings and in particular how much dry rub seasoning do you use for a steak, ribs, chicken, fish, etc. We've been doing it so long that it just comes out natural for us. But to help all our customers we've built a list. We hope this helps you as you apply the dry rub. Over time you will gain a feel for just how much dry rub seasoning adds the level of flavor you desire. Chicken (Whole Chicken Skin On) 2 Tablespoons if chicken is at room temperature. If not add 1/2 Tablespoon of Olive Oil and rub over chicken before applying dry rub. Turkey (Whole Turkey Skin On) 2-3 Tablespoons if turkey is at room temperature. If not add 1/2 Tablespoon of Olive Oil and rub over turkey before applying dry rub. In each case the natural dry rub must cover the complete outside of the steak, chicken, fish, ribs, etc. Also, in the case of whole chickens and turkeys you can add additional dry rub in the cavity of the bird. In some cases rubbing the dry rub into the meat will help impart more flavor. Because Jake's makes natural dry rubs heavy rubbing is not needed just ensure that the meat is covered. And keep in mind if you need additional dry rub to add more flavor just shake or spoon more on until you are satisfied. Check out our (Specials / Discounts) pages to claim your dry rub combination.